the library with Doris Bouchard being its first curator. 1n 1968, a seperate Museum Board was established. The Museum remained in the library building for the next three years. In 1971, the library was slated for demolition, so the Museum leased a new location at 160 Sauble Street. 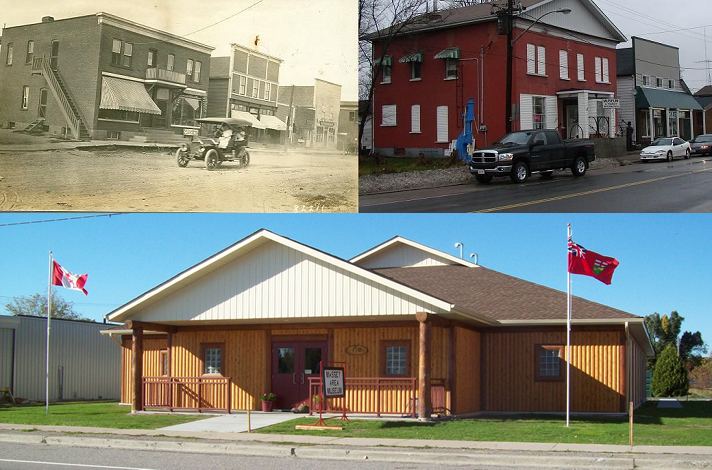 The building used to be the Sadowski General Store before it was converted into the Bretzlaff Hotel. It was then extensively modified to become suitable for a Museum. The Museum was incorporated as a non-profit organization in 1976, and with a Government grant and fundraising, the Museum was finally able to purchase the building it had been leasing. The Museum Board made extensive improvements over the years, but the space slowly became inadequate. In 2002, Evelyn McNenly donated the funds needed to purchase the next door property to build a new Museum. Through several Government grants and proceeds from various fundraising events over the years, the new Museum building became a reality in 2013.